The King County Court's Criminal Division handles bonds, trials by jury, and pleas for cases that involve felonies and serious crimes. If you're facing serious charges, protect your legal rights with help from a Federal Way Superior Court attorney who will fight to minimize the penalties that could significantly alter your life. The qualified litigators at The Office of Jason S. Newcombe offer reassurance and reliable counsel as you face the possibility of time in prison. We will help you understand how the law applies to your situation as we compassionately answer your questions. Our Federal Way Superior Court lawyers will aggressively pursue the dismissal of your charges, but if this is not possible we will seek to have your penalties minimized in whatever way we are able. Our Federal Way Superior Court criminal attorneys will look into negotiating a plea agreement with the prosecution, which could offer a positive resolution to your case. If you are innocent of the charges against you and want your side of the story told, our Federal Way Superior Court lawyers will make sure you get the opportunity. Washington law outlines the penalties associated with convictions, but most of our clients have little knowledge of the laws and the punishments associated with a conviction for a particular crime. Constructing a defense begins by speaking with one of the Federal Way Superior Court criminal lawyers at The Office of Jason S. Newcombe. Your professional Federal Way Superior Court criminal attorney will gather evidence related to your case and conduct an independent investigation to discover anything potentially beneficial. This information may then be used to challenge the prosecution's case, which could help during our plea negotiations or if we decide to take your case to court. Seek professional assistance from a qualified legal professional as soon as possible. We need time to investigate your case, and when it comes to defending your legal rights in Superior Court, there is no substitute for a head start. 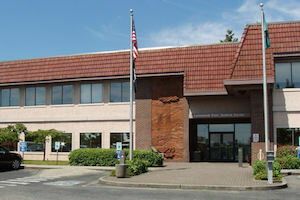 Get answers today by contacting one of our experienced Federal Way Superior Court attorneys for a free case evaluation. With more than 30 years of combined legal experience, we will offer you reliable guidance as you confront the unique challenges of dealing with a serious crime. If you're are facing a criminal charge, or someone you care about has been charged with a crime, our legal team will provide you with the information you need to make informed decisions concerning your case.